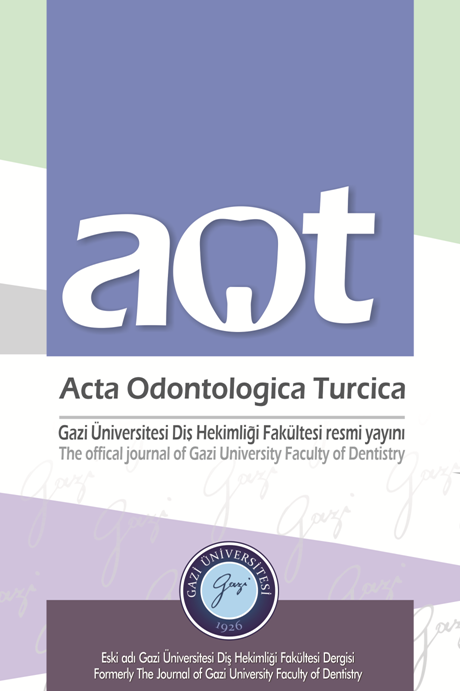 Acta Odontologica Turcica (AOT), the official publication of Gazi University Faculty of Dentistry, is a peer-reviewed, open-access journal published tri-annually (January, May, September), and the official languages are Turkish and English. AOT is a continuation of the former ‘The Journal of Gazi University Faculty of Dentistry’ which has been published regularly since 1984. The journal is published electronic-only. Overview of workflow in our journal is shown below. Details of the scientific review process can be found in the Editorial Policies page.